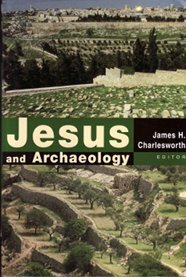 In “Archaeology and John’s Gospel” (a paper in Jesus and Archaeology (2006), edited by James Charlesworth), Prof Urban von Walde reports on archaeological investigation of 20 geographical locations in and near Jerusalem with details mentioned in John’s gospel, but nowhere else in the New Testament. von Walde compares the information in John with what archaeology has now discovered. It turns out, perhaps surprising to some, that John got a lot of details right, even some which had changed or been lost long before the gospel is believed to have been written. Here is a summary of his conclusions. John 1:28, 10:40 Bethany beyond Jordan A location where John the Baptist (a different John) was baptising. Several possible locations identified but no certainty. Uncertain. John 1:44 Bethsaida Hometown of three of Jesus’ disciples, close to Lake Galilee. Suggestion of Greek-speaking population. Town location probably identified, mostly fitting brief information in John. General confirmation of John, but not entirely certain. John 2:1-11, 4:46-54 Cana in Galilee Home to one of Jesus’ followers, Jesus visited Cana several times, and used large stone water jars to create wine for a wedding. A site at Khirbet Qana is now believed to be the location of Biblical Cana. Coincidentally (?) the remains of large stone water jars have been found there. General confirmation of John. John 2:12, 4:46, 6:17-59 Capernaum Jesus and is disciples visited Capernaum several times. It is a fishing port, and John mentions a synagogue apparently close to the port, and infers there is a Roman military camp nearby. The features mentioned briefly by John have all been confirmed, or suggested, by archaeology. It seems clear that John was indeed familiar with Capernaum. John 2:13-16 The temple John records Jesus as reacting to money-changers and selling of sacrificial animals in the temple area. John correctly records the names of the various areas in the temple complex, and John seems to have had a good understanding of the temple and its regulations. The archaeology seems to support that John was familiar with the temple, despite it all being destroyed two decades before he wrote. John 3:23 Aenon near Salim This is another location where John was baptising. Several possible locations have been proposed, but none is certain. No conclusions can be drawn from this reference. John 4:4-6 Sychar John records Jesus as passing by a town named Sychar in Samaria, located near the historic Jacob’s well. Two possible towns have been identified, with one favoured, but this is uncertain. Little can be drawn from this reference. John 4:6 Jacob’s well Jacob’s well is described as being both a “running spring” and a dug well, and Jesus stops at it on a trip through Samaria. The location of Jacob’s well is known, and it was located on the main north-south road through Samaria in the first century. It is indeed both a dug well and a running spring. It seems clear that John was indeed familiar with Jacob’s well. John 4:20 Mount Gerazim In a discussion with Jesus at Jacob’s well, a Samaritan women mentions nearby Mount Gerazim as a place of worship for Samaritans. It is clear the mountain was used for worship. Little can be drawn from this reference. John 5:2 The Sheep Gate The Pool of Bethesda (see next item) is described as being near the, relatively little-known, Sheep Gate in the walls of Jerusalem. The gate is known to have existed in the northwest corner of the old city. John’s reference is accurate, but unremarkable in itself. John 5:2 Pool of Bethesda John describes a pool near the Sheep Gate with five colonnades or porticos (a line of columns supporting a roof-like structure). For a long time the pool was unknown and the arrangement of five porticos hard to imagine. The pool has been found near the Sheep Gate, and it has two sections, with colonnades around each of the four sides and a fifth separating the two sections. John’s gospel has proven to be remarkably accurate. John 6:1, 23, 21:1 Tiberias The city Tiberias, and the alternate name of the sea of galiliee as the Sea of Tiberias are both mentioned by John. The city still exists and first century remains have been found. John’s reference is historic but not remarkable. 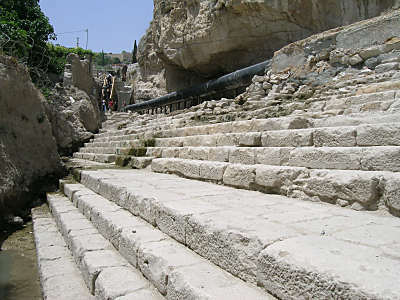 John 9:1-9 Pool of Siloam John records Jesus tell a blind man to wash in this pool as part of his healing. A site believed to be this pool has been known for some time, but recent excavations have revealed a second pool nearby, which seems to beter fit the description in John. John’s reference is historically accurate. John 11:1-17, 12:1-11 Bethany near Jerusalem John records that Jesus visited friends at Bethany several times, and notes the distance from Bethany to Jerusalem. It is generally agreed that a present day village, el-Azariyeh, is the location of bethany, and it is indeed located as John records. John’s location is accurate. John 11:54 Ephraim Under threat from the Jewish religious authorities, Jesus withdraws for a time to a town named Ephraim. Ephraim is believed to be the modern village of et-Taiyibeh. John’s reference is historic but not remarkable. John 18:1 Kidron Brook Kidron brook runs in a valley close to Jerusalem. John uses a word, often translated as “brook”, which actually means an ephemeral stream or wadi which is dry most of the time but a torrent after winter rainfall. The Kidron is a well-known feature and John is correct that it is winter-flowing. John’s description is accurate. John 18:28, 33, 19:9 The Praetorium After his arrest, Jesus was taken to the Praetorium, official residence of the Roman prefect. The location of the Praetorium, in the northwest corner of Jerusalem, is now known. John’s reference is accurate but not remarkable. John 19:13 The stone pavement The stone pavement (Lithostrotos in Greek), also known as Gabbatha (raised place in Aramaic) was located outside the Praetorium, and was the place where Pilate made his judgments. The stone pavement remained undiscovered for many years, but archaeologists believe they may have now found it – not a stone-paved area, but a raised (and therefore bare) surface of natural rock It seems that John’s description may be accurate. John 19:17-41 Golgotha John records that Jesus was crucified at Golgotha, the place of the skull, which was located “near the city”, i.e. just outside the city walls. Golgotha has been identified as an 800 year old quarry with a rocky hillock which had a skull-like appearnace. It was outside the city walls at the time of Jesus’ death, but a decade later the wall was extended so that Golgotha was incorporated into the city. John’s description is thus accurate, even though the situation changed ten years later, indicating an eyewitness source. John 19:41-42 A tomb in the garden John records that there was a garden close to Golgotha, in which an unused tomb had been carved into the rock. Many tombs have been cut into the rock surrounding the old quarry, and many of these date to the time of Jesus’ death. The “Garden Gate” is nearby, suggesting there was indeed a garden in that vicinity. John has mentioned a number of details that show he well understood the geography of that part of Jerusalem. According to von Walde, John’s gospel has given accurate information for 16 of the 20 sites examined, 2 appear likely to be correct and 2 are not able to be identified. He concludes that these topographical references are parts of John’s gospel that are “quite accurate, detailed, and historical”. none can be shown to be in error. John’s gospel was clearly based on eyewitness memories of the geography of Jerusalem. It is reasonable to conclude that at least some other parts of the gospel contain good historical material.